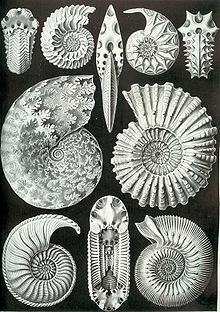 Ammonites are an extinct group of marine invertebrate animals in the subclass Ammonoidea of the class Cephalopoda. That is according to Wikipedia, word for word. 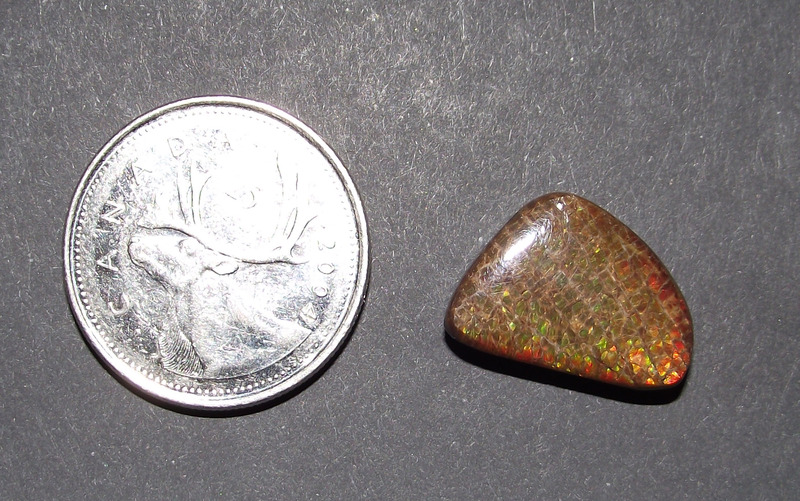 Unlike other gemstones, Ammonites are really fossils. They have elements of nacre and mother-of-pearl like the oysters and clams they’re related to and in the fossilization process they become something with an otherworldly beauty. Ammonites vary in size from small ones you can easily hold in your hand to the Granddaddy pictured above: it’s 2.5 FEET in diameter. While we tend to get all excited about the colours these beauties exude, the entire creature was a marvel. Don’t even get me started on Fibonacci Sequences. Just look at the spiral precision of these marvels. 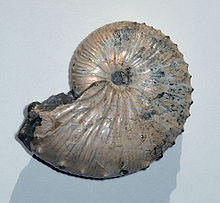 A great deal of ammonite is found in North America and, of specific importance to me, in Alberta, Canada, right next door. 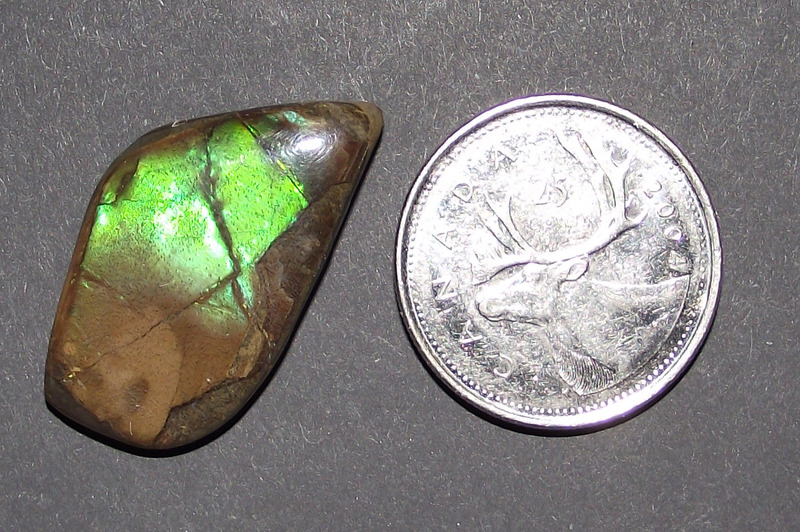 When ammonite is found that is iridescent, if it is in good condition and graded as gem quality, it is called Ammolite. 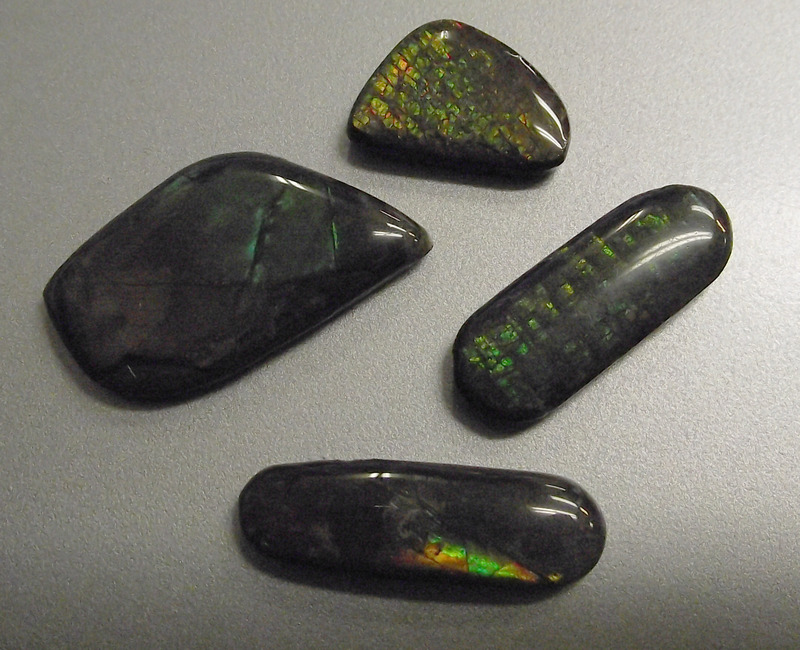 I picked up some cabochons this week that these pictures just don’t do justice to. 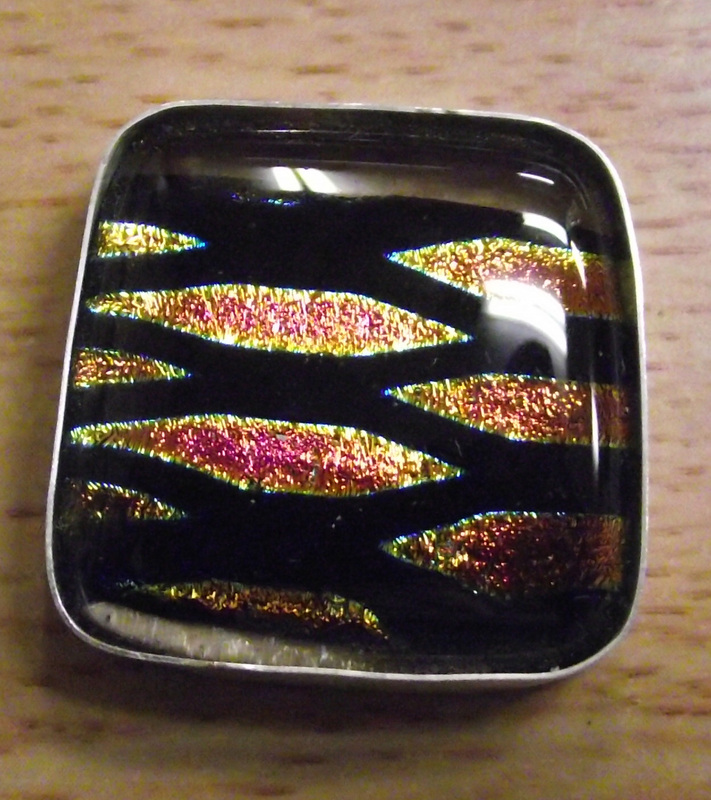 It’s so tough to properly photograph something that has glowing colours that shift and change. It’s sort of like trying to capture the northern lights in a brightly-lit room. Or a firefly at midday. Seriously, if you love opals or labradorite, Ammonites will make you very happy. 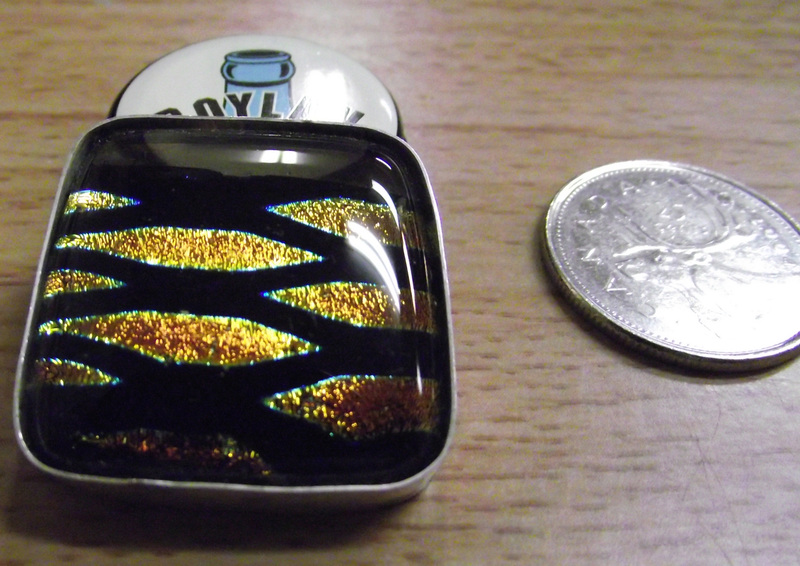 I’m thinking pendants. Swirly pendants. I need fire……fire…..heh heh heh…..fire. Zebra seems to be popping into my life a lot lately. Not ZebraS….Zebra designs. I have a friend *cough*Brandy*cough* who has a thing for Zebra designs and since I’ve been spending time with her it seems that Zebra-style is everywhere I look. 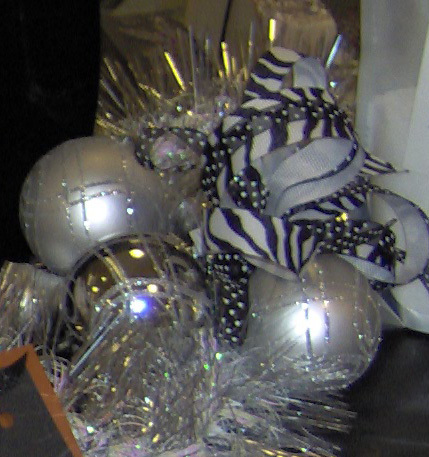 I needed black and white so Zebra ribbon was a perfect fit. Guess where that ribbon is now? I bought fancy pencils this week for my music students. There were Zebra pencils in the bag. I held them up in front of you-know-who and they disappeared faster than ….well, considering the only witticism I can come up with here involves goose and some grossness, let’s just say it was FAST. There’s no picture of them, well, because they’re gone. Which brings me to this. I’ve had this piece for quite a while. I pulled it out this week and got looking at it again. I swear….I’m seeing Zebraness everywhere. It’s on this weekend’s to-do list. Know anyone you think might like it? I’ll get to the beads in a second. First things first though. Remember the pastel coneflower picture? Yeah? Well….it’s dead. I killed it. The plan I had for it did not work out so it got turfed. I felt bad about it for all of 15 seconds, until I remember what my friend Michele, another phenomenally talented artist friend of mine said to me once. She told me that her philosophy was “Quantity over Quality”. What she meant was that you need to just create lots and lots of pieces…..just don’t stop. Out of a thousand pieces you might have one great piece…or you might have hundreds. But you never know. You just have to make lots…lots of mistakes, lots of baby steps, lots of great strides. You just can’t beat yourself up over the ones that go south. So I’m not. Moving on now. When setting up my bench again after Christmas, I found a treasure. I forgot I had them and now I’m all intrigued by what I might do with them. These are some uber-funky shell beads I found in a bead store. I immediately fell in love with them and had to have them all. If they’d had more I would have bought them too. Between the swirliness and the colours in them, I positively swooned when I saw them. That’s a quarter (for my American readers). They’re smooth and satiny and look almost like gorgeous candy. 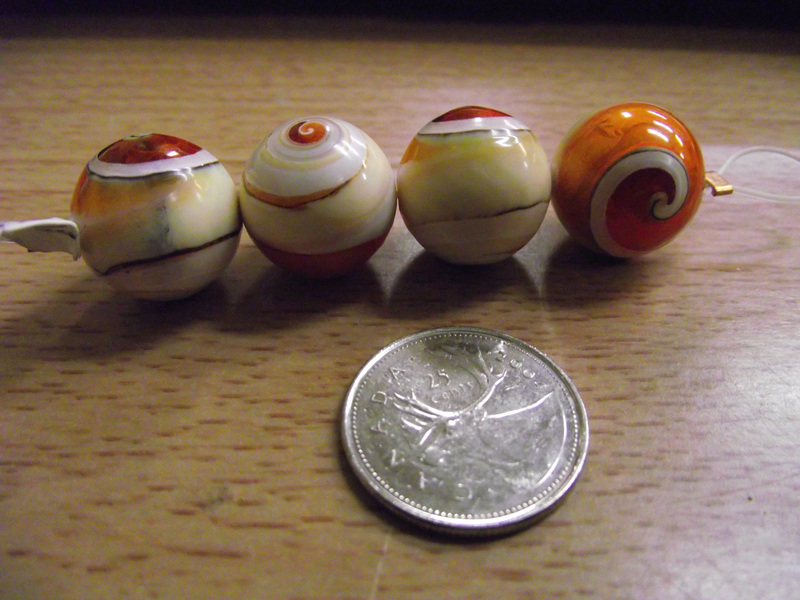 So I’m thinking hand-wrought swirly chain….with shell-bead drops….with carnelian and mother of pearl……Oh Momma! Time to fire up the torch!